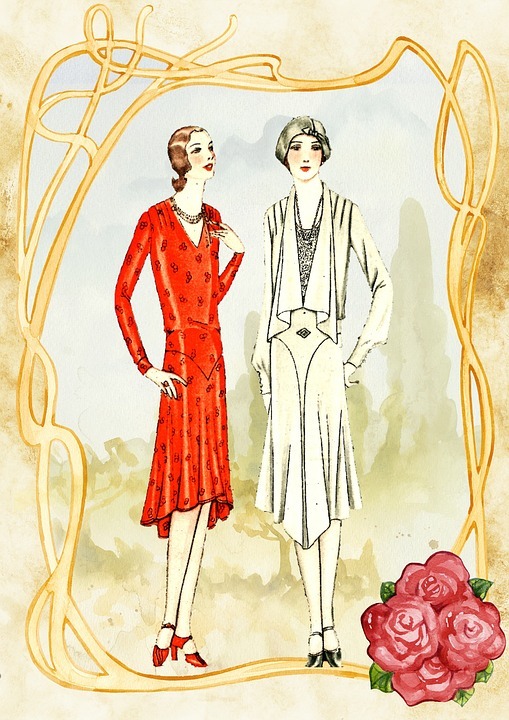 "After several decades influenced by the late Victorian and Art Nouveau styles which favored cheerful and colorful jewelry, World War I bought several years of more serious and somber fashion. However, American public strengthened by the rising industrial power and rising of the middle class embraced the new rising "modern art" that came out of Cubism and Ballet Russe and morphed it into a style that remained in height of its popularity for 15 years, from 1920 - 1935. This style soon traveled to Europe where it also made a big mark. Known as the roaring 20s, this period of American history was remembered by it decadent ways, quick and energetic dances, empowerment of women (who gain the right to vote in 1920), popularization of gangsters, industrial manufacture of affordable cars, and exciting nightlife during a Prohibition. All in all, that was the time when breaking a law was fashionable. The bubble of Art Deco bursted after the market crash of 1929 and the 1930s Great Depression, but the remnants of that interesting fashion trend survive even today."